With so many different diets out there all promising similar results, how do you know which are the best weight loss plans to follow? It would be near impossible for someone to try all of them to figure out which ones are the best, and thankfully you won’t have to. The team at US News and World Report has already done that, evaluating the overall performance of 35 of the top diets on the market to figure out which are the absolute best ones. When ranking the best weight loss plans, US News and World Report considered things like nutritional benefits, promises vs. reality, ability to fight chronic disease, and so on. According to expert analysis, here are some of the best weight loss plans for 2015. The tried and true Weight Watchers program stood out among the best weight loss plans as the top overall. 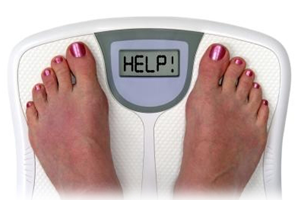 Experts agree that this program helps people not only lose weight, but keep it off. Weight Watchers was the top ranked program for both long-term and short-term weight loss. Compared to Weight Watchers, this program is more strict and is designed for those who are motivated to lose weight following a tightly controlled regimen. Its strict regimen, which is backed by scientific research, is the reason why it remains effective after 30 years. This diet is also supported by hospitals and medical clinics. This diet encourages people to not only lower calories, but incorporate more exercise into their day as well. Experts agreed that this combination works best for the greatest percentage of dieters. This diet was found to be very effective for short term weight loss, and also works well for keep the weight off long term. One thing this diet has over all the other best weight loss plans are the one-on-one counseling sessions that participants are entitled to every week. However, that type of personal service comes at a high cost. In addition, due to the nature of the pre-packaged food included in the diet, experts question whether the weight loss is sustainable long term. This diet is just as it sounds — you eat only raw food. As a result of the diet being so restrictive, eating only raw food tends to result in fewer calories consumed per day, which leads to weight loss. Be advised that this diet isn’t for everyone, and takes a lot of work and dedication to do it right. This list is really just scratching the surface, a list of the best weight loss plans could go on for days. At the end of the day, the best weight loss plan is the one you can stick to and the one that best suits your metabolism. There is nothing better than a customized approach that addresses your unique genetics, metabolism and risk factors. Having a diet that leaves you metabolically better will assure you keep the weight off. I recommend doing more of your own research, finding the diet that you feel is the most realistic to fit into your lifestyle, and sticking with it for at least a few months to see if it works for you. If you have any questions or need any more guidance about the best weight loss plans, please leave a comment below.